Here I concluded that Head-Up Displays (HUDs) in the automotive sector are currently the only commercially available consumer application of Augmented Reality (besides smartphones, tablets, and similar non-AR specific devices). 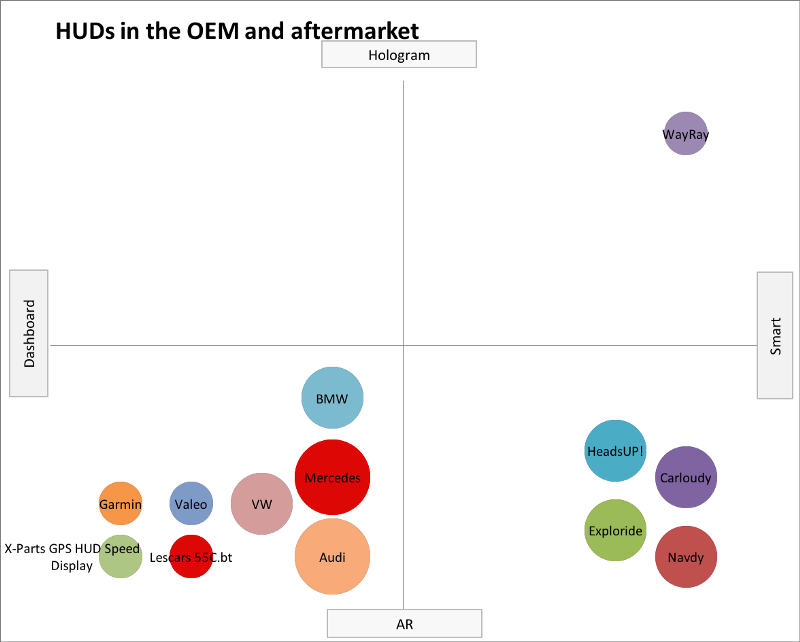 Based on this, I have explored here the state of HUDs in the OEM and aftermarket. There are two manufacturing categories. OEMs and the aftermarket. These segments are split into two technologies (Augmented Reality HUDs and Holographic HUDs) and two feature categories (Dashboard HUDs and Smart HUDs). Augmented Reality (AR) HUDs project information on the car’s windshield or onto a separate device in front of the windshield. Dashboard HUDs display only basic driving-related information such as speed or navigation and Smart HUDs integrate functions familiar from our smartphones such as notifications or gesture control. This market is as follows. We have several AR Dashboard HUDs (lower left quadrant) in the aftermarket and from OEMs. There are no Smart AR HUDs from OEMs but several in the aftermarket (lower right quadrant). WayRay is the only company offering Smart Holographic HUDs with a holographic projection (upper right quadrant). 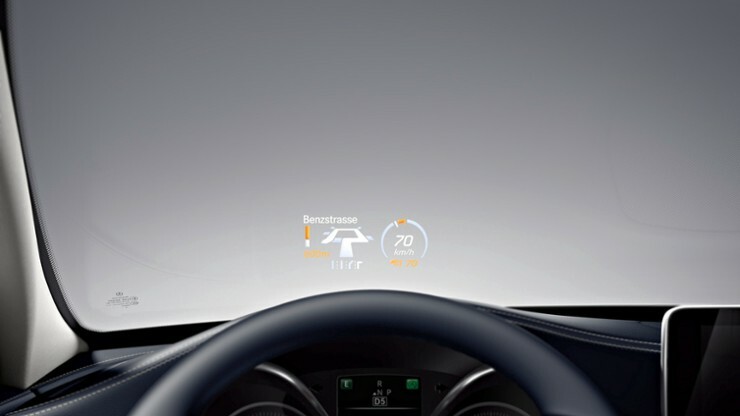 There are no Holographic Dashboard HUDs although BMW is working on one. See below for a list of products. Whereas this situation where no OEMs are producing Smart AR HUDs, Smart Holographic HUDs or Holographic Dashboard HUDs looks advantageous for companies in the aftermarket, I advise against activities in that field. Due to price and limited relative advantage aftermarket HUDs will only play a limited role in the next five years. After that, consumer’s preferences, substitute products, the role of autonomous cars and a shift towards car sharing will render their role almost useless. Due to a lack of HUDs in the lower and middle prized cars and consumer interest in HUDs in these sectors,  we will see an increased availability of aftermarket HUDs. In 2014, for instance, the aftermarket accounted for 34% of the whole market. It is fair to assume that the share won’t decrease to zero in the next five years (or even beyond that). Furthermore, car replacement cycles favor the aftermarket. A suitable analogy is the aftermarket for car navigation systems. It rose until 2008 after which it has been declining ever since. However, some 1,7 million devices were still sold in 2016 ). As a comparison, there were 3,4 million new car registrations in the same period  (both statistics based on Germany). Nevertheless, the disadvantages will eventually shift the market in favor of OEMs. Firstly, little consumer pull due to HUDs’ lacking relative advantage in the Dashboard AR segment. Keeping your eyes on the road all the time is undoubtedly comfortable. However, their relative advantage (relative to the dashboard), is low. The relative advantage of Smart AR HUDs is greater (although still low as smartphone notifications and similar are not a killer feature), but their price makes them unattractive. The highest priced model (HeadsUP!, 499) costs more than the lowest priced model in the OEM segment (BMW, starting at 400€). This comparison lags, of course, due to the feature set and compatibility (BMW’s HUDs start at 400) but still shows this segment’s flaws. Furthermore, at some point in the future, a new dominant design will emerge. This will be the use of AR windshields instead of displays. In the long-term, it merits to question consumer’s preferences for built-in and aftermarket devices, substitution products, the role of autonomous cars and a shift towards car sharing. For consumers, the importance of in-car technology is growing, and they increasingly prefer to buy a “budget car with loaded features” . Built-in technology will further be of relevance if the use of car sharing keeps increasing. Only very few people would buy a separate HUD if they do not own a car. However, what customers might buy, even if they do not own a car, are smart glasses. Coupled with smartphones these glasses would have the same functionality as HUDs. Finally, autonomous cars would render windshields almost completely useless (with Level 5 autonomy completely useless). Even if they do not make windshields useless, the cars of the future will demand AR windshields where the whole windshield is the HUD. BMW’s self-driving concept car demonstrates one such windshield. 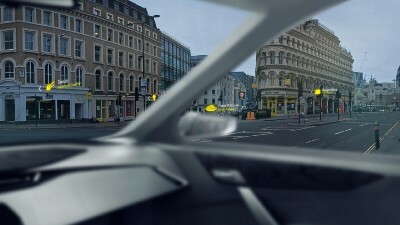 BMW’s self-driving car concept demonstrates an AR windshield by tracking the bike on the right side (Source: screenshot from here). By the time the market switches to holistic windshield HUDs I do not see any chance for the aftermarket anymore. Building devices small enough to fit into the space between the windshield and dashboard but powerful enough to light up the whole screen will be challenging. OEMs who can build the technology right into the car, are of advantage. Currently, most HUDs are AR, and there are slightly more Dashboard variations that smart ones. The Garmin HUD is an example of a Dashboard AR HUD. It projects basic driving information onto the windshield. HUDs in this category are cheap. They cost between 20€ and 150€ (see here and here). The Navdy is an example for a Smart AR HUD. For instance, it displays messages, calls or your music and lets you control it via voice or gestures. HUDs in this category are expensive. The Navdy, for example, costs $399 and the cheapest, Carloudy, costs $259. Here WayRay is the only example. 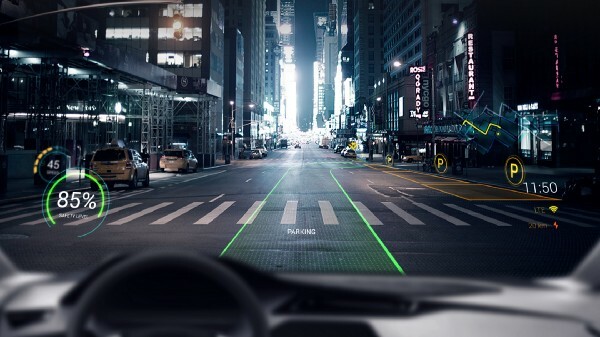 The WayRay AR infotainment system projects information such as POIs or navigation directly onto the street in front of you. The HUDs offered by the biggest car manufacturers (Mercedes, BMW, and Audi) are all Dashboard AR HUDs. 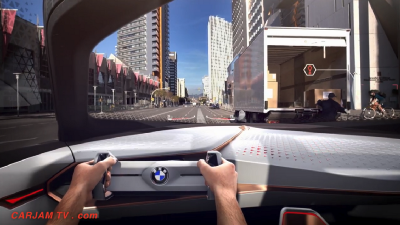 However, BMW showed that they are working on holographic Dashboard HUDs (video). Here, the most expensive HUD is from Mercedes which costs about €1200. The cheapest is available from BMW and starts at €400.